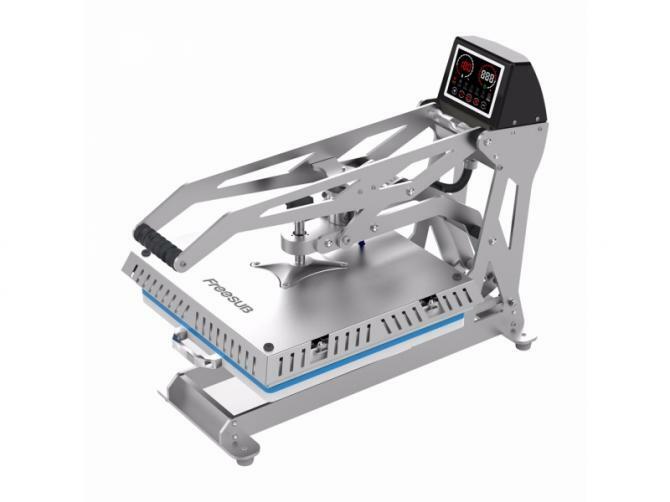 The Freesub Auto Flatbed press is made of high quality metal and has a bed size of 38 x 38cm which is on a draw for safe and easy operation. The LED touch screen control makes for easy programming and also gives you 6 presets to easily recall your favourite settings. At the end of the cooking cycle the electromagnetic lock releases allowing the press to open automatically. The temperature can be measured in Celsius or Fahrenheit.